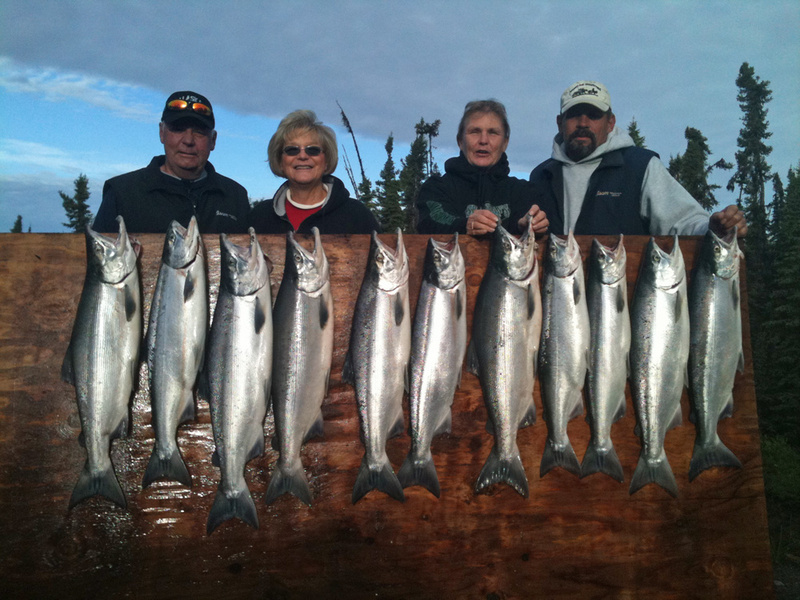 If you were to ask 10 Alaskans what their favorite salmon to fill the freezer with it would be the sockeye salmon. 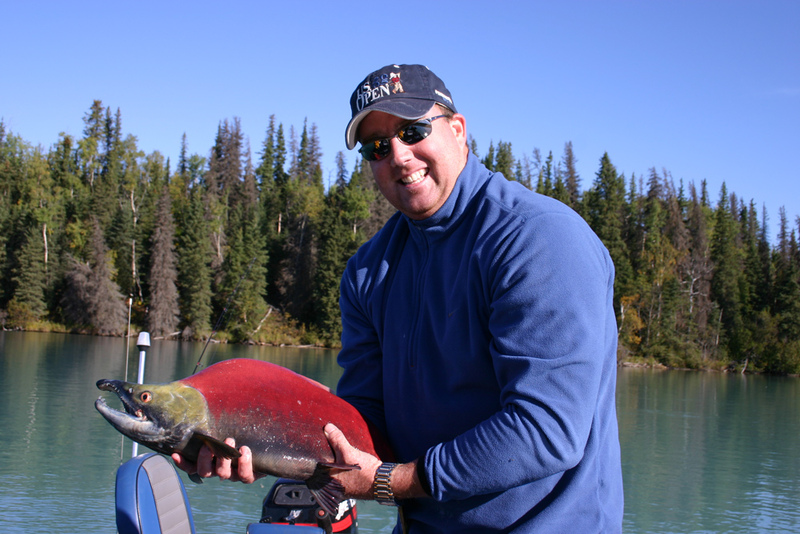 It gets it name because the meat is the firmest reddest meat of all salmon. 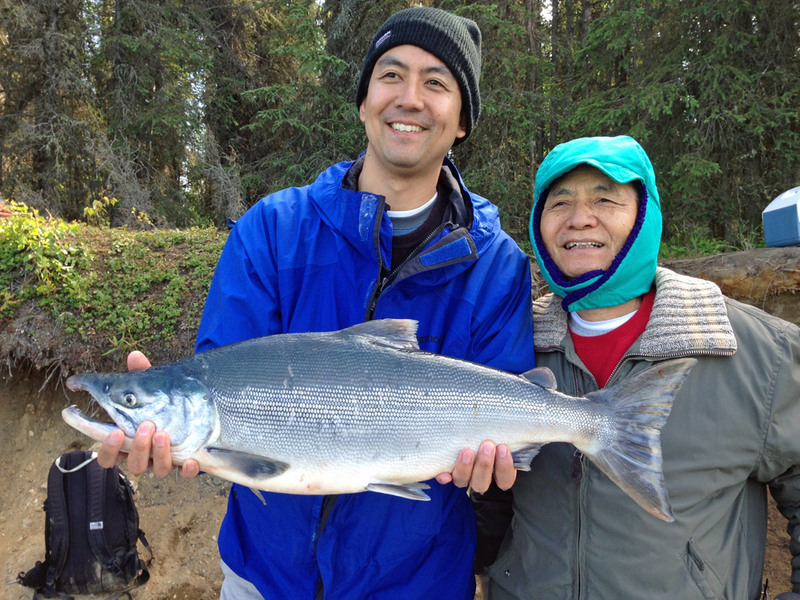 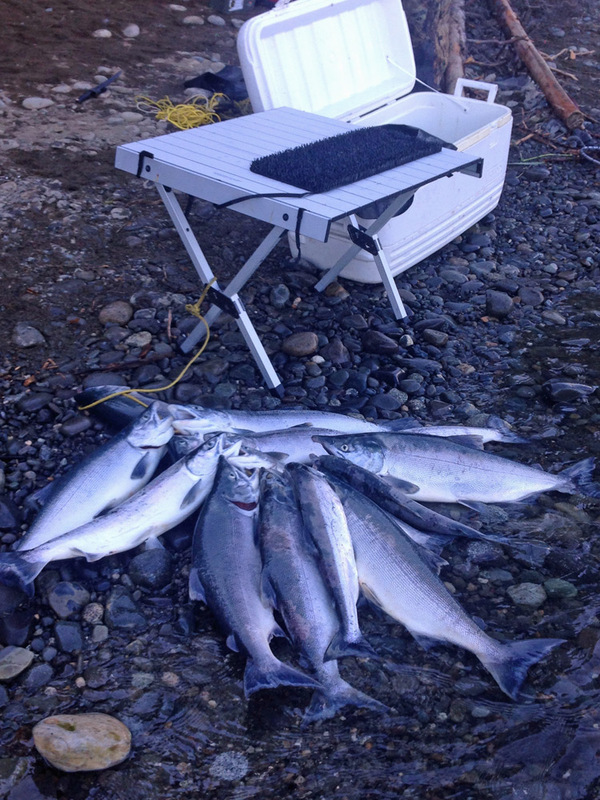 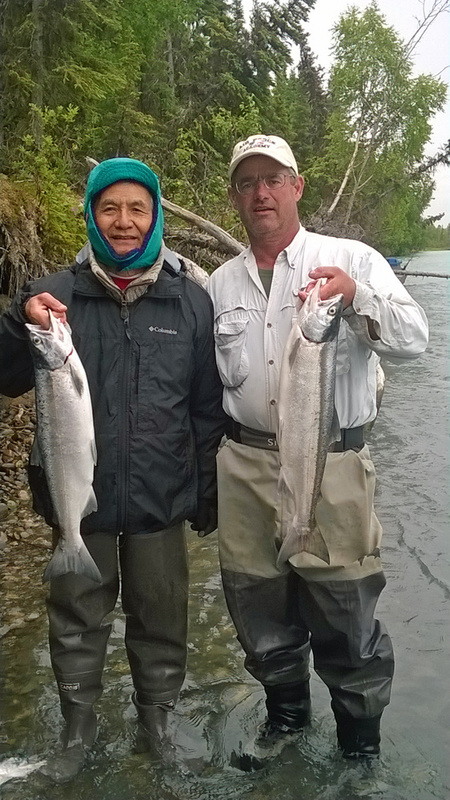 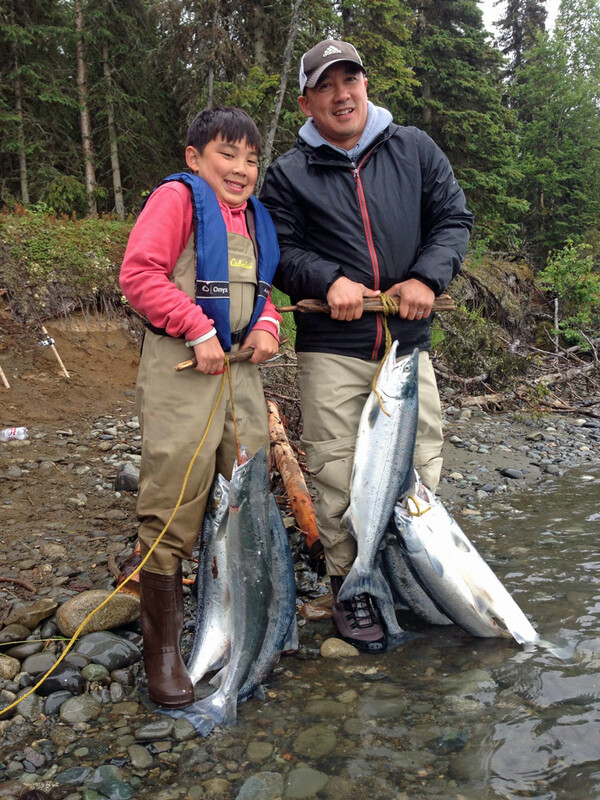 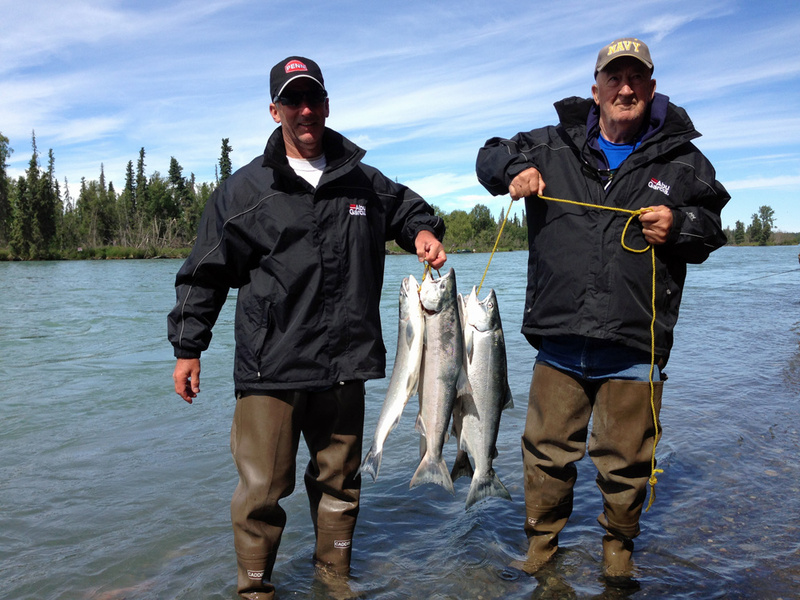 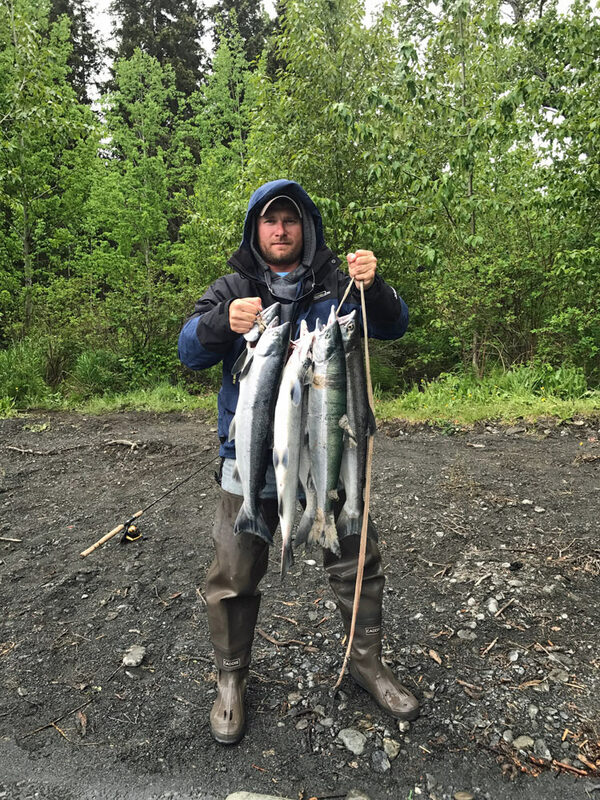 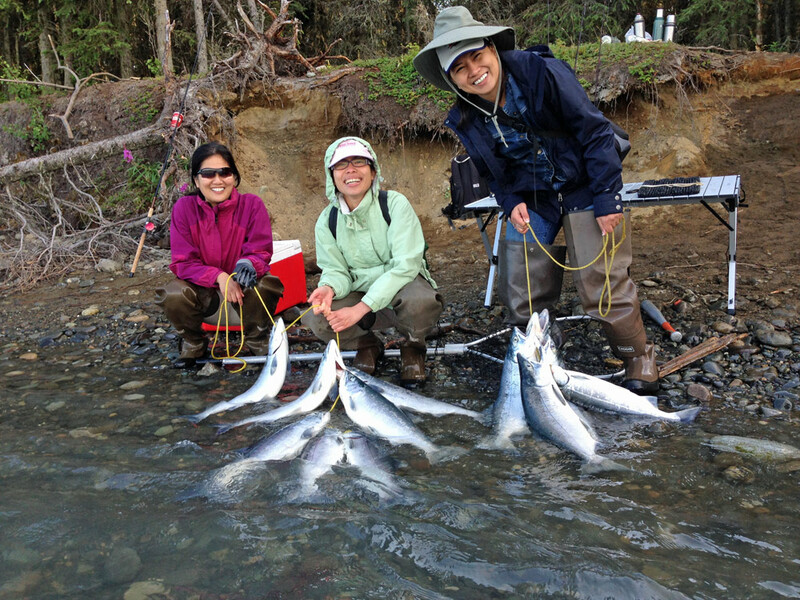 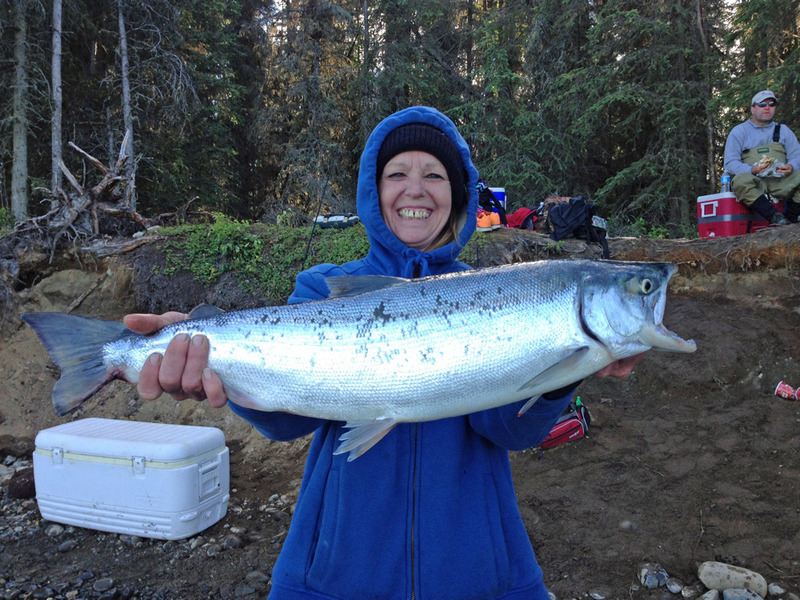 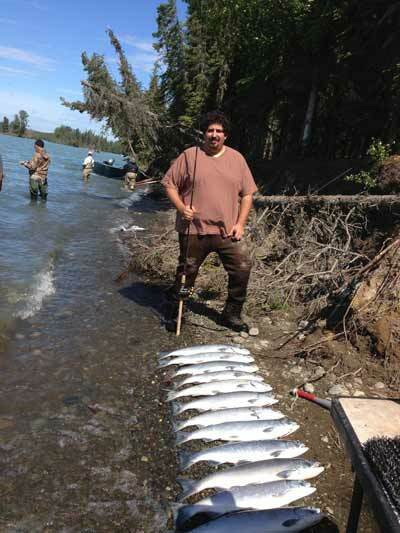 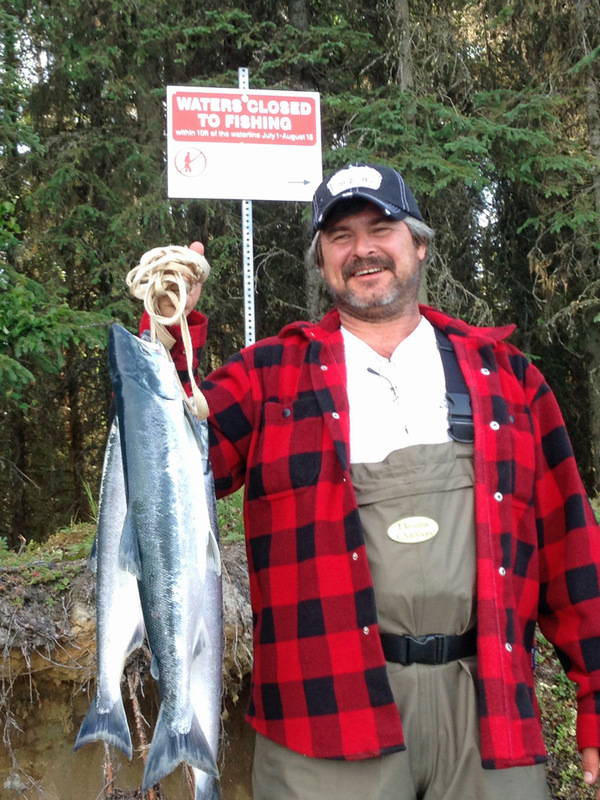 Our Kenai River sockeye fishing guides can get you on these premier Alaska salmon. 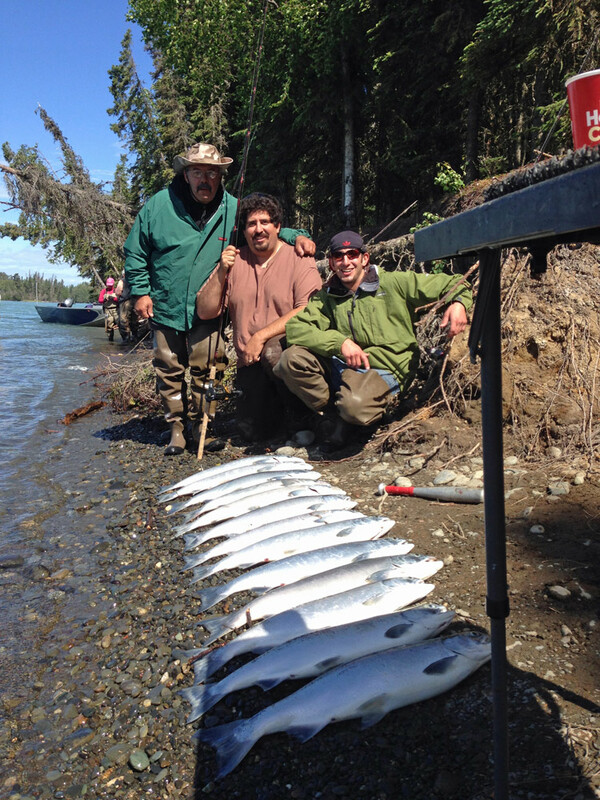 Since we do almost all of our salmon fishing on the lower part of the Kenai River, the first run of Sockeye Salmon start coming in the later part of May. 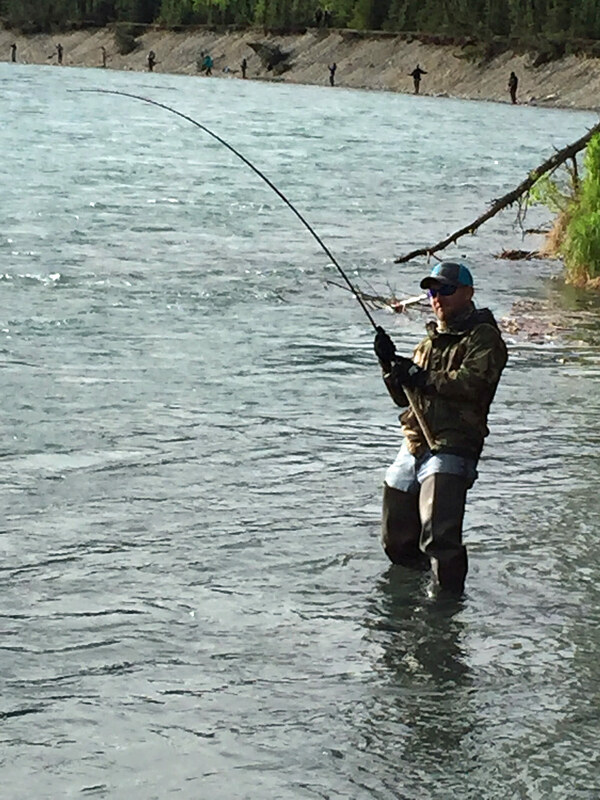 Once they hit the Kenai river they don’t hold up in areas like the second run does, it’s like they have blinders on and they’re on a mission to get straight to the Russian River. 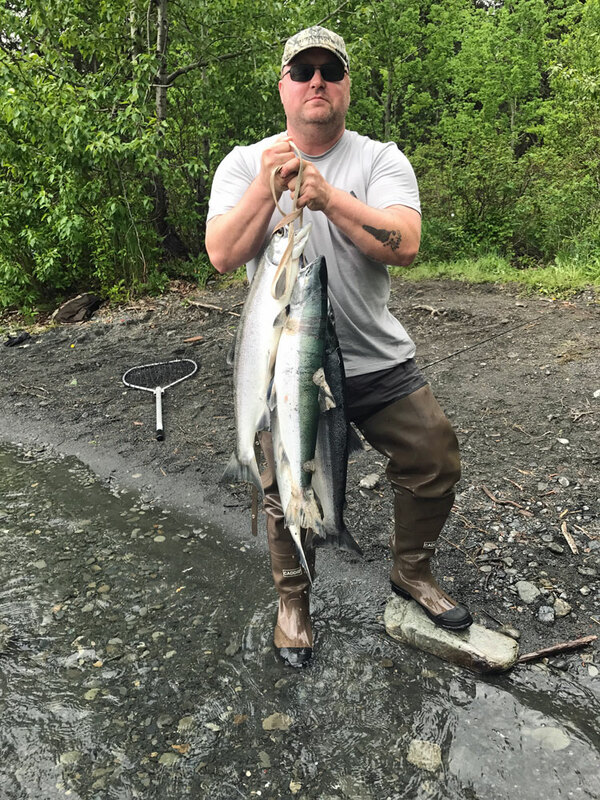 Another reason might be how long the river is. 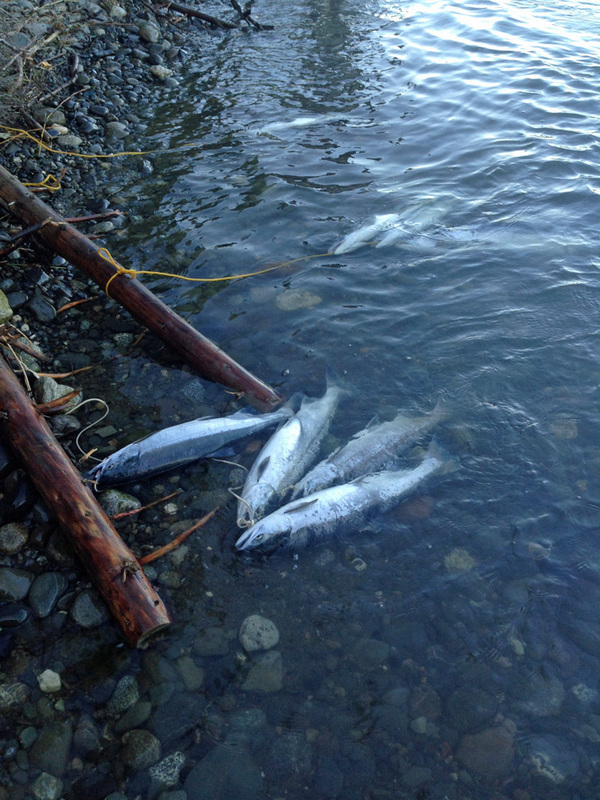 One of the coolest things about the first run sockeye is that once they make it up to the Russian River they start stacking up at the mouth and into the sanctuary. The state opens the taking of 3 sockeye on June 11th, if the state gets worried about too many sockeye getting up the Russian River they open the limit up to 6 sockeye per person. 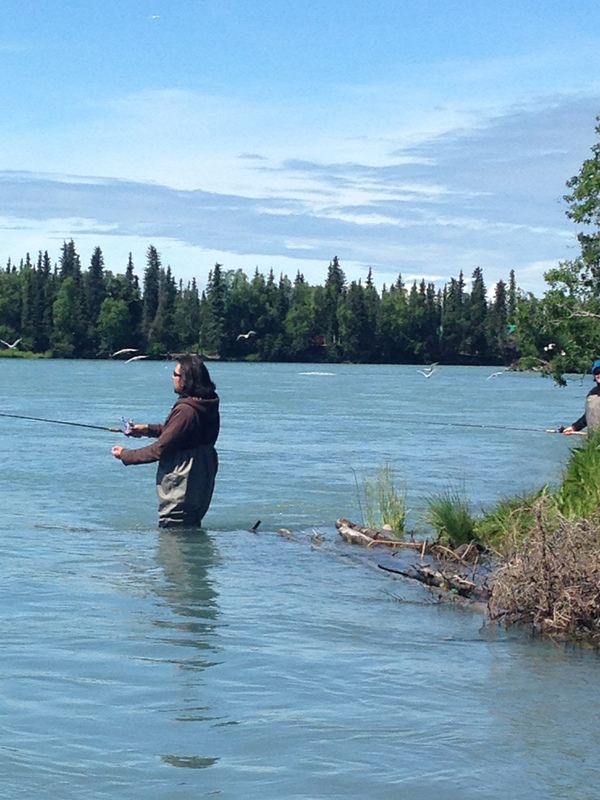 The second run starts coming into the Kenai the beginning of July and when they come in they travel up the Kenai River a lot slower, holding up in slower waters for short times. 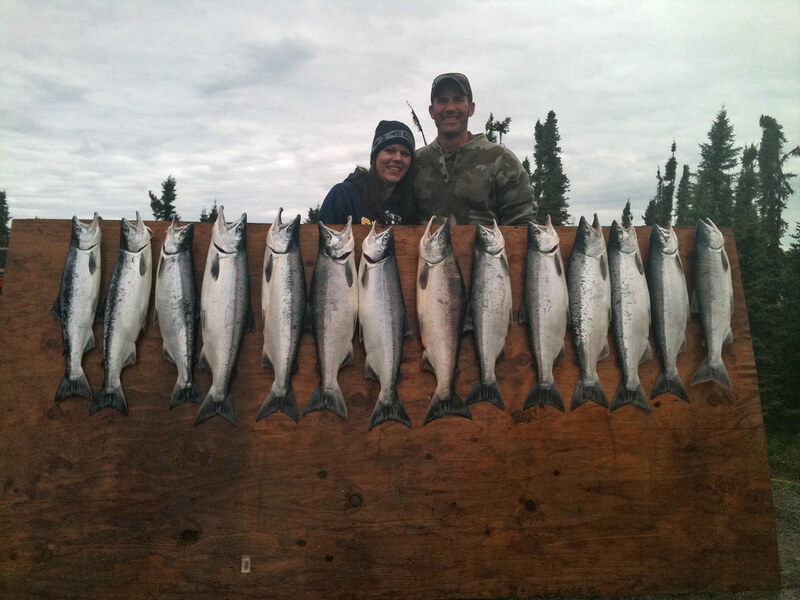 We start getting limits around the 10th. 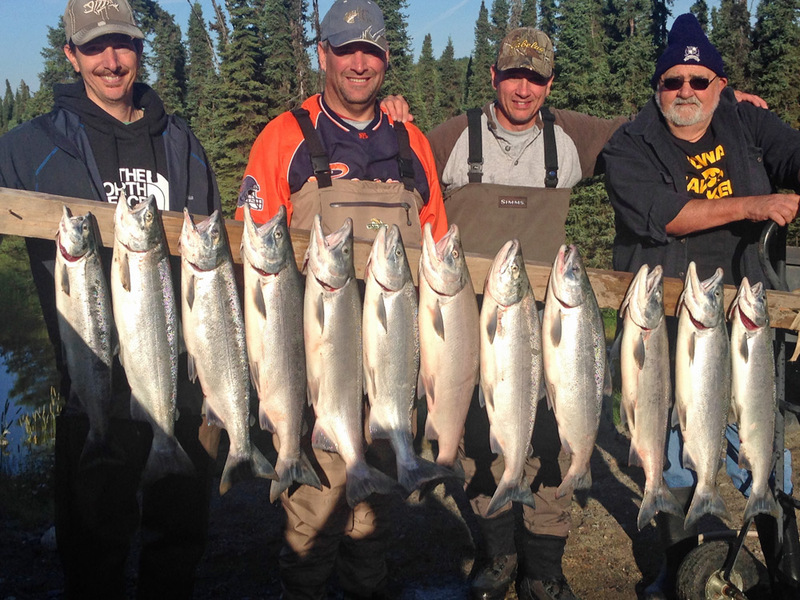 Because of this reason every guest wants to come to Alaska from July 10th to the 31st. 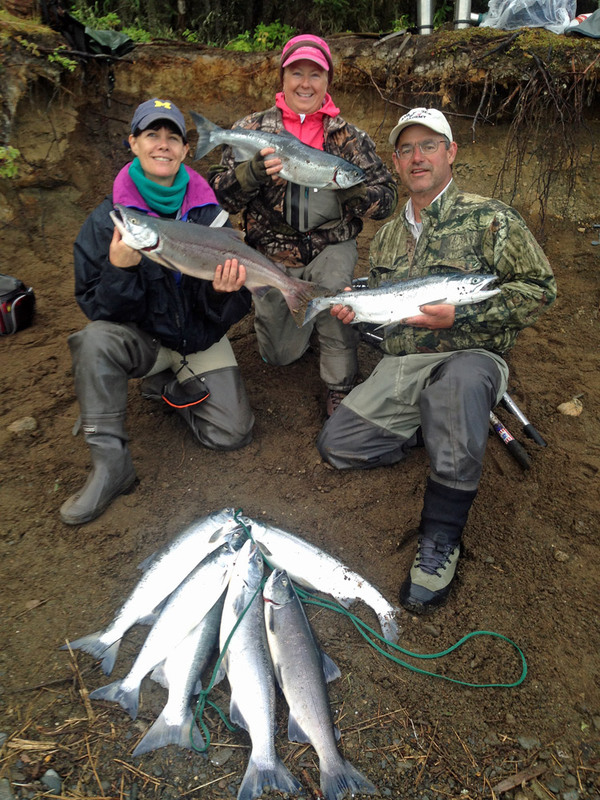 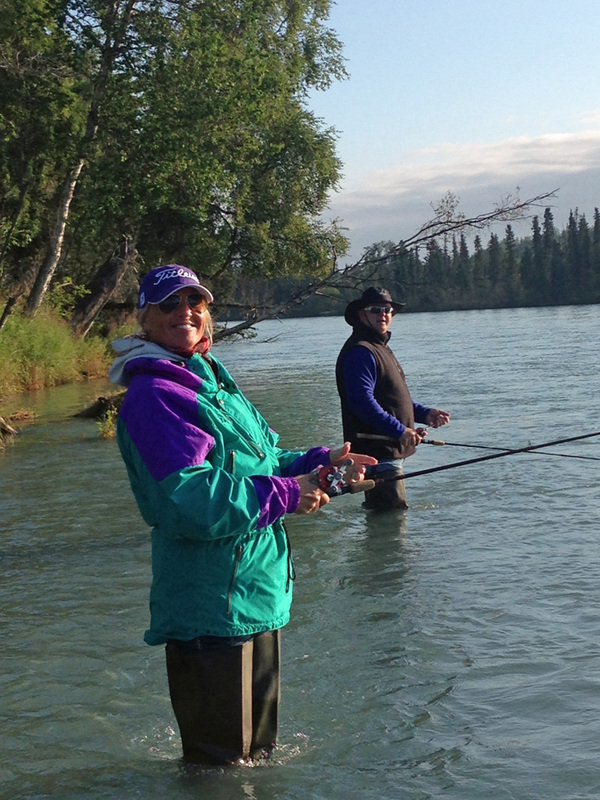 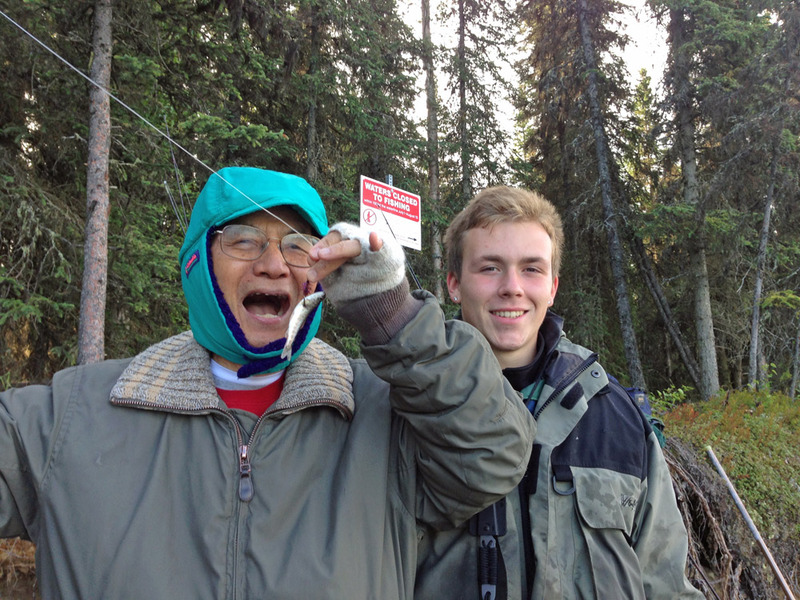 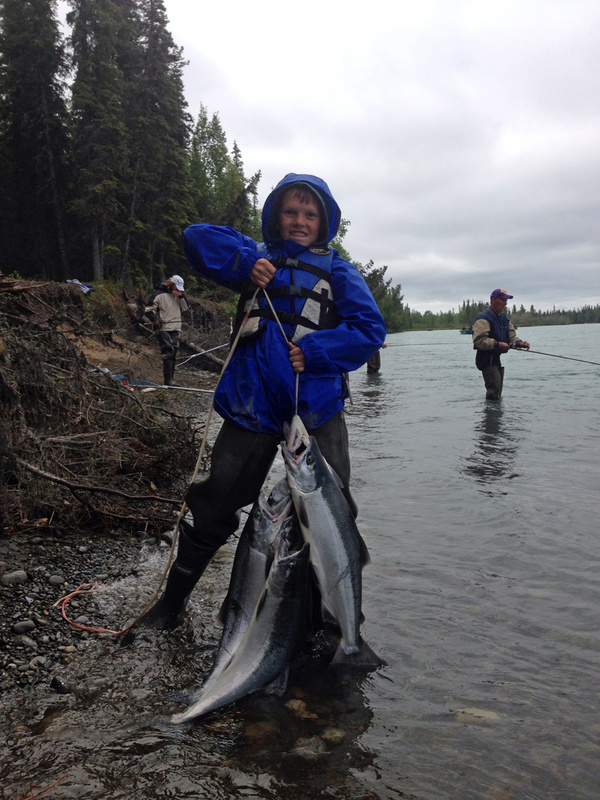 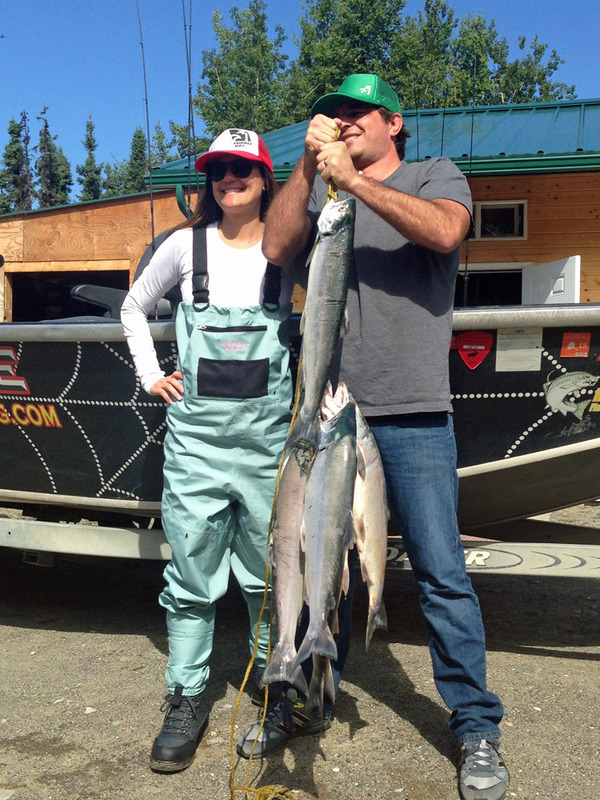 The second run provides anglers with some of the best fishing Alaska has to offer. 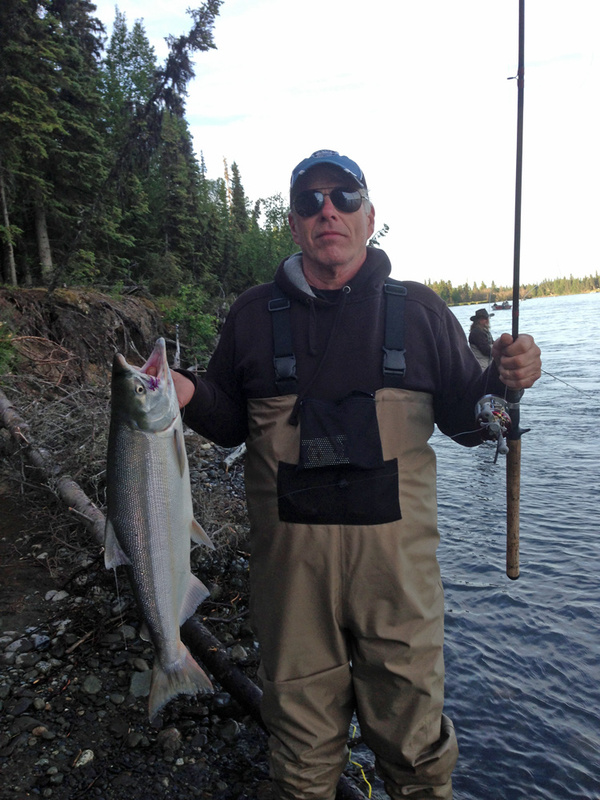 These chrome beauties usually average 8-10lbs with fish over 12lbs hitting the nets regularly. 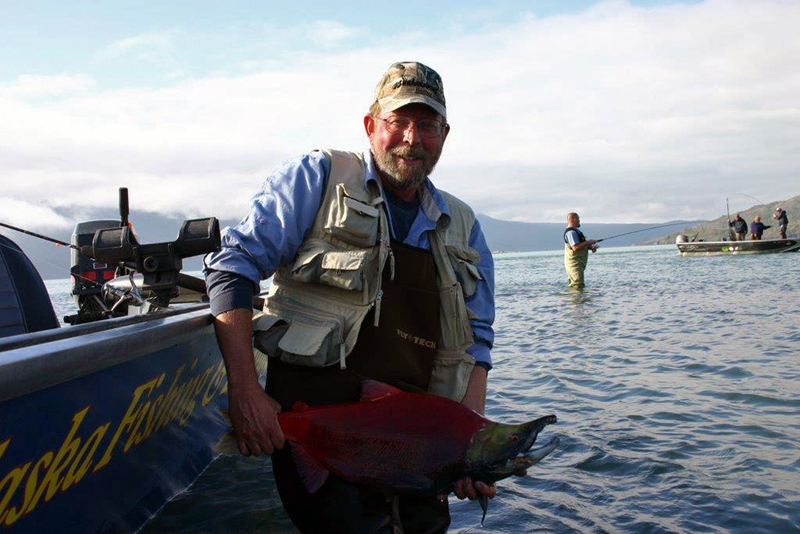 Locking into your first Sockeye Salmon will be an experience you won’t soon forget. 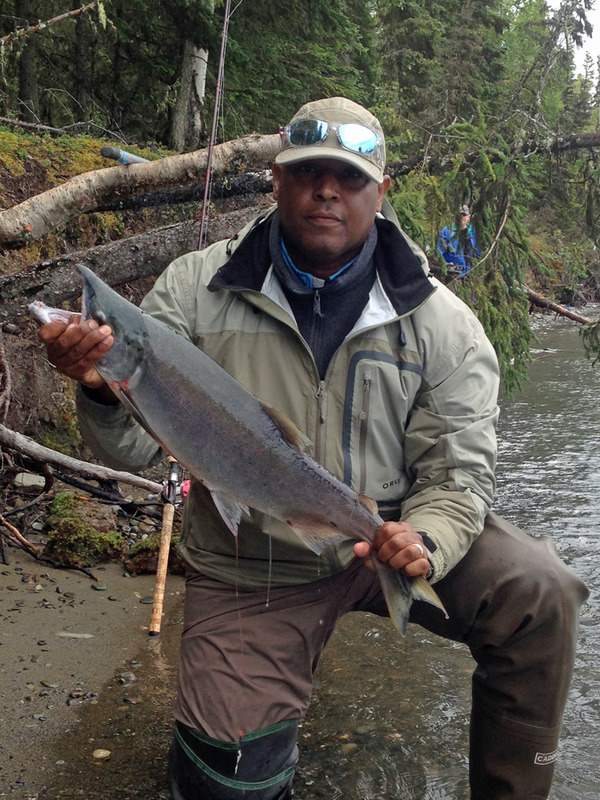 These iconic fish are the ones you see jumping up waterfalls on television and pound for pound are some of the hardest fighting fish that swim our rivers. 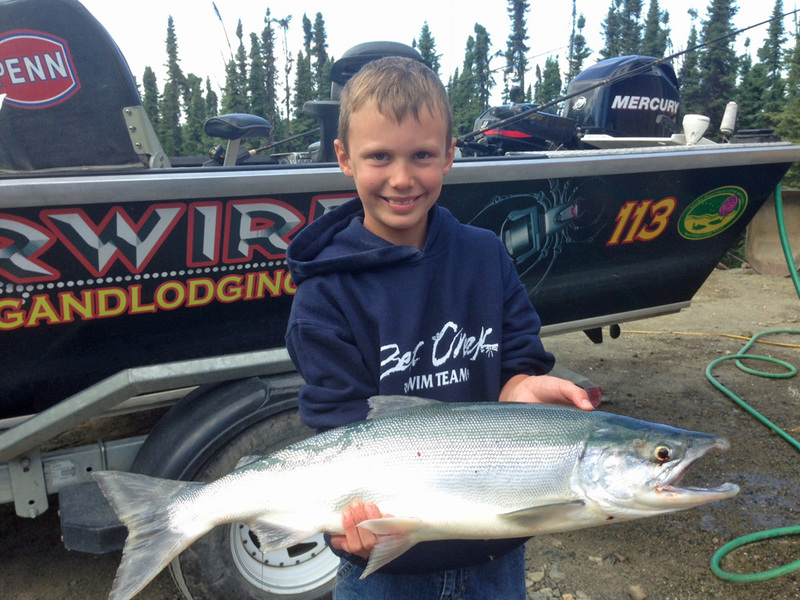 These powerful fish are known for ripping line, vicious aerial displays, and just an all-around great fish to catch. 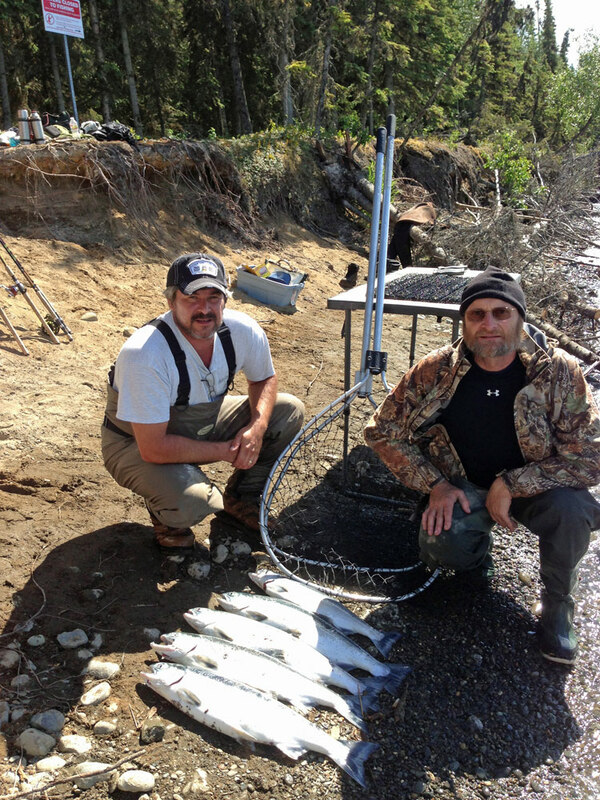 We rent out fishing gear for sockeye, we supply all the gear for our guest. 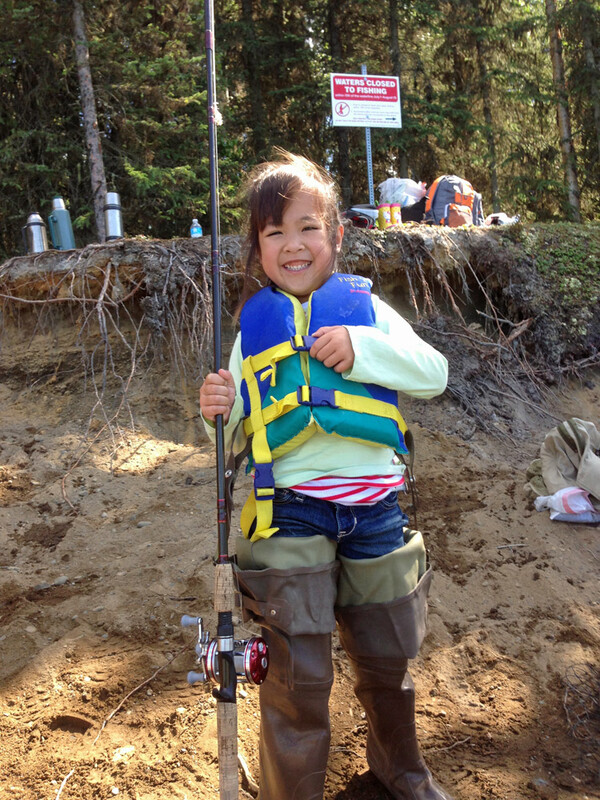 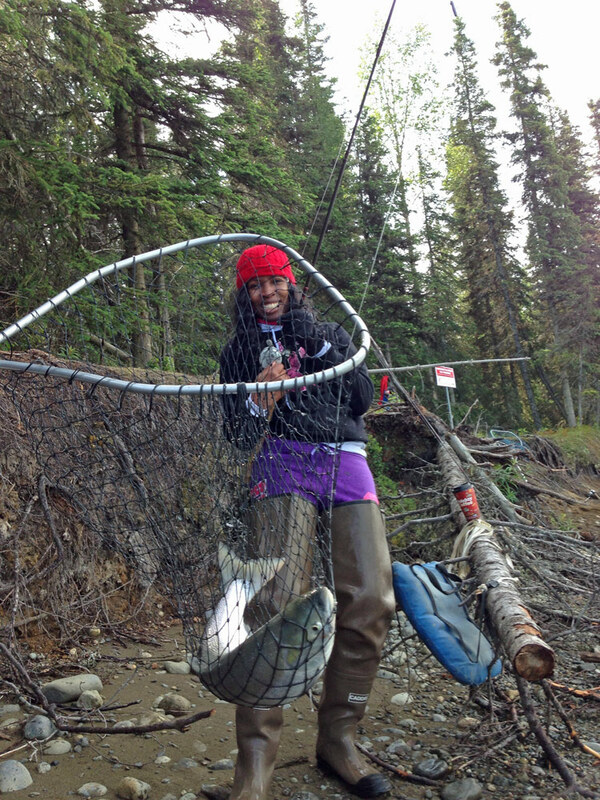 The gear we use for sockeye is hip boots, Abu 6500, medium bait casters and a good net. 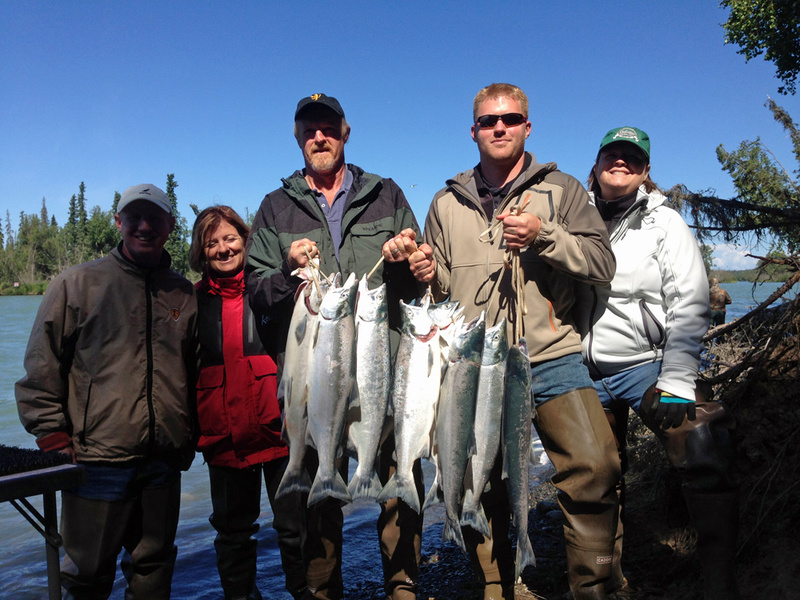 Fishing for sockeye salmon is done primarily from the bank and we have access to some of the best fishing spots on the river. 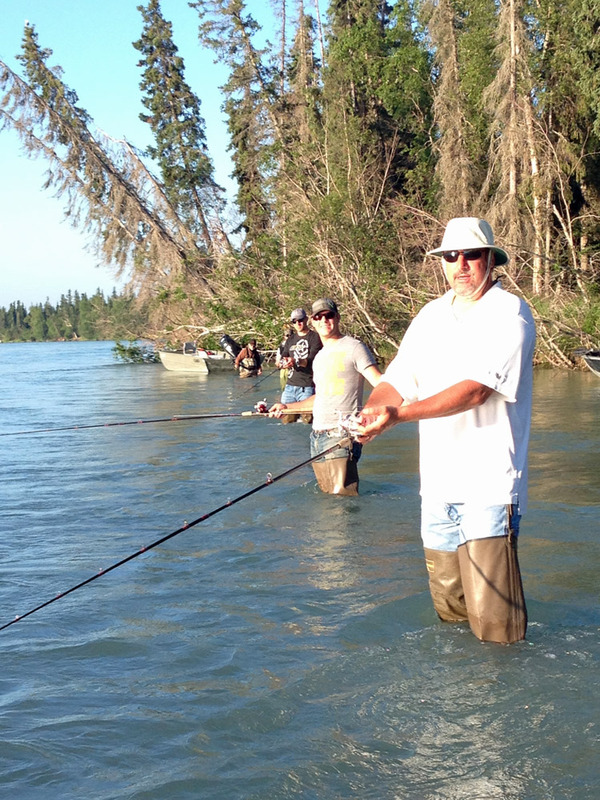 Our Kenai River sockeye fishing guides will take you by boat to one of our prime locations and show you all the techniques for catching sockeye salmon right below our feet. 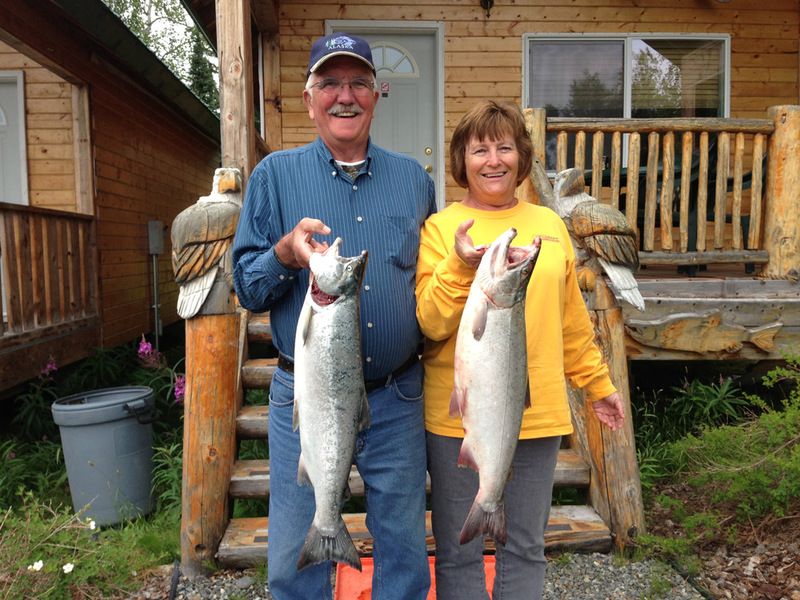 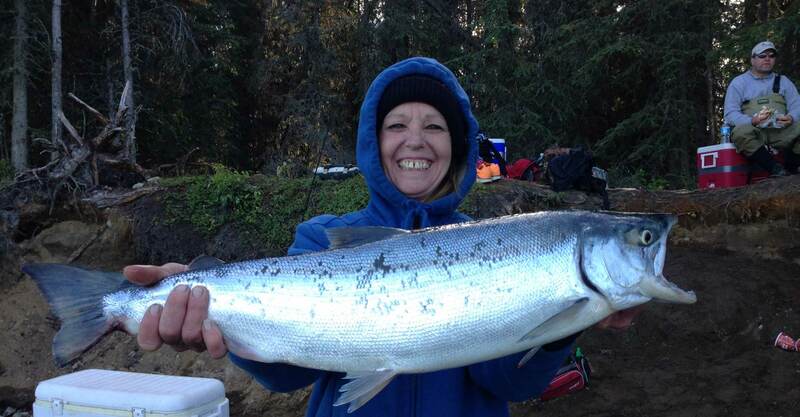 Talk to us today about a salmon fishing and lodging vacation package and let our experienced staff help you put together the Alaska fishing adventure of your dreams. 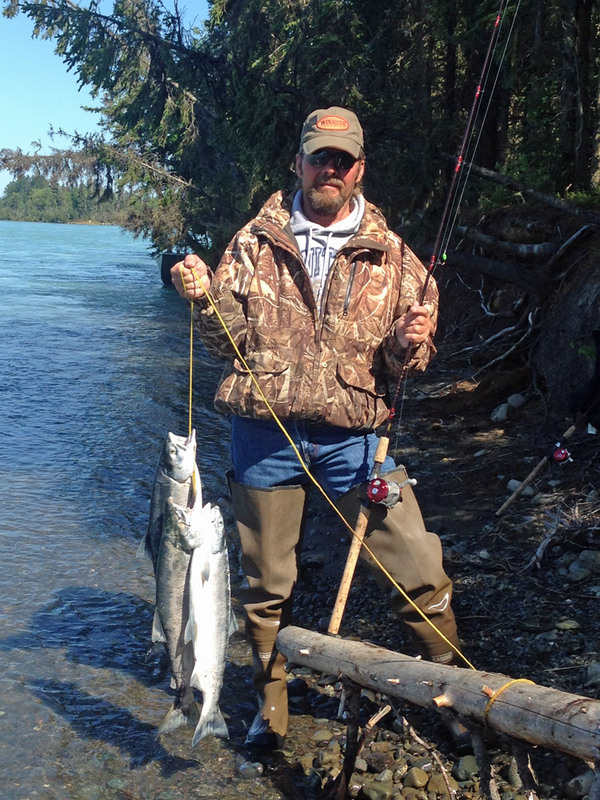 Call today and lets talk Alaska sockeye salmon fishing!